. 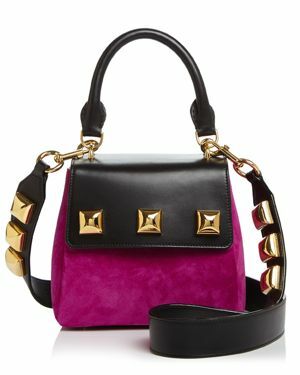 - Small Satchel Colorful and vibrantly printed for chic adventures. 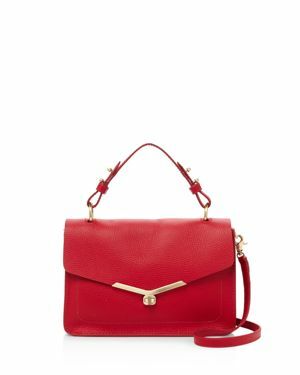 Sakroots' petite satchel features a coated canvas exterior and a fun keychain accent. 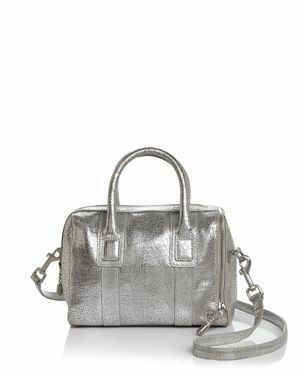 Guess - Oversized charms bring unique polish and appeal to the gorgeous Guess Gracelyn Satchel. 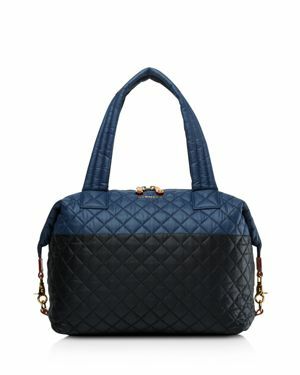 Guess - Elliana Satchel Classic quilting brings sophisticated style and charm to the beautiful Guess Elliana Tote. Vera Bradley - Iconic Glenna Small Satchel Functional drawstrings cinch a pocket-lined Vera Bradley satchel that's suprisingly lightweight for how spacious organized and charming it is. Giani Bernini - Hydrangea Print Leather Dome Satchel, Created for Bold blooms and Giani Bernini's signature logo are the focal point on the Hydrangea Print Leather Dome Satchel a sleek and timeless silhouette you'll want to wear every sunny day.
. - Legato Satchel Unique criss-cross detailing is what makes Legato stands out. 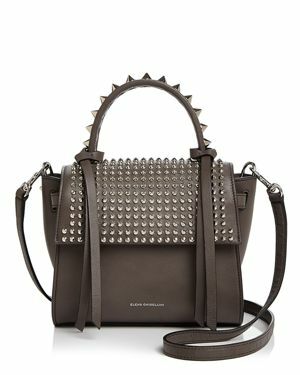 This elegant yet edgy satchel features comfortable round handles and a well thought out interior. 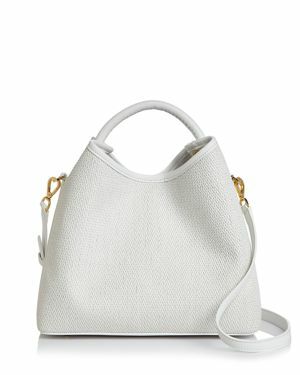 Make it your go-to everyday bag. 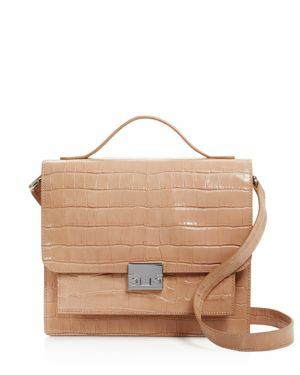 Guess - Shawna Cali Satchel Cali Small Satchel conceals multiple compartments in a portable organized design that's stylish and modern. 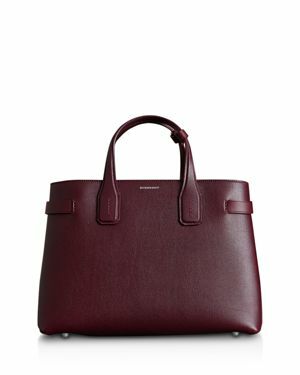 Tommy Hilfiger - A topstitched logo hangtag lends classic polish to a Tommy Hilfiger Julia Satchel topped with buckled handles and an optional shoulder strap. 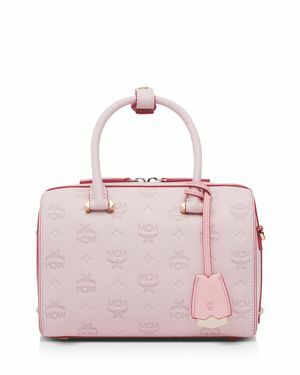 Vera Bradley - Hadley Satchel Knotted handles put a chic spin on this Vera Bradley satchel in fashionable and feminine diamond-quilted microfiber. Kipling - Alvy 2-In-1 Convertible Backpack Tote Bag Thoughtfully organized in easy-to-tote lacquer nylon this versatile Kipling carryall converts from satchel to backpack and back again. 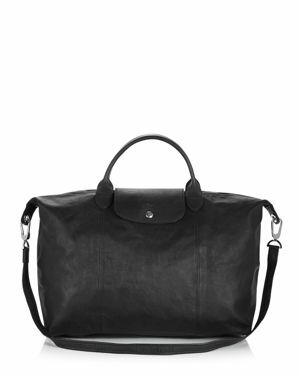 Kipling - Camryn Laptop Satchel A sleek and essential design for those who travel often this lightweight stylish satchel from Kipling is finished with an inner padded laptop pocket and convenient trolley sleeve for slipping over your rolling luggage handle. 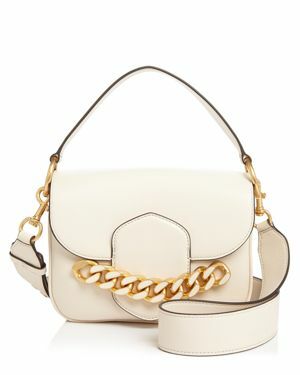 FOSSIL - Ryder Jacquard Signature Small Leather Satchel A sleek satchel with all the right details. 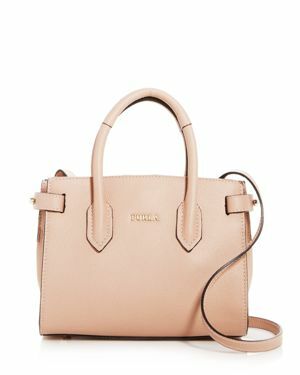 The Fossil Ryder Satchel keeps it cool with a classic silhouette convenient crossbody strap and designer key charm at handle base. 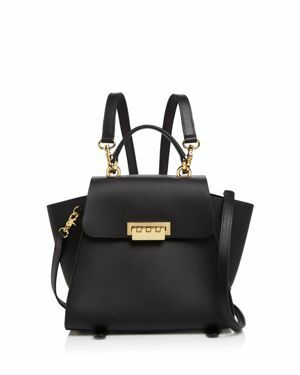 The Sak - An easygoing silhouette combines with luxe leather on the Paramount Leather Satchel by The Sak for everyday style done right. FOSSIL - Ryder Mini Leather Satchel A sleek satchel with all the right details. 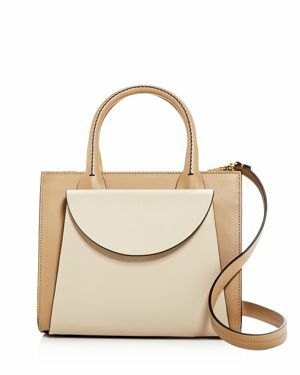 The Fossil Ryder Small Satchel keeps it cool with a classic silhouette convenient crossbody strap and designer key charm at handle base. 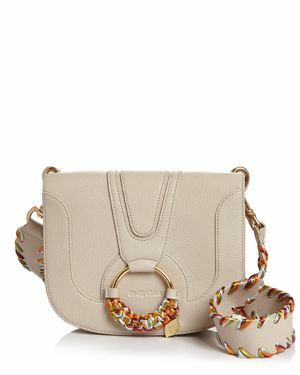 FOSSIL - Ryder Patchwork Crossbody Stylishly designed in patchwork leather the Fossil Ryder Satchel keeps things chic and organized with three spacious compartments and expandable gussets. 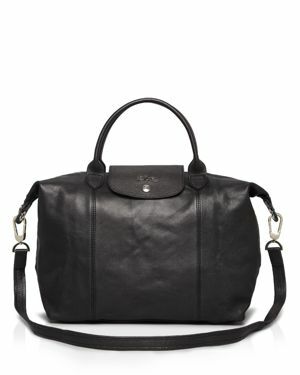 FOSSIL - Ryder Jacquard Signature Leather Satchel A fashionable satchel with all the right details. 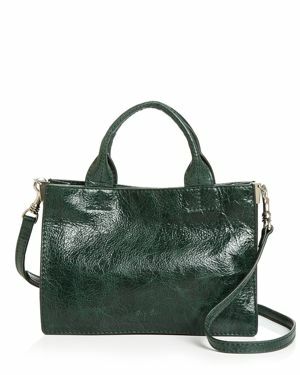 The Fossil Ryder Satchel plays it cool with a classic silhouette convenient crossbody strap and designer key charm at handle base. 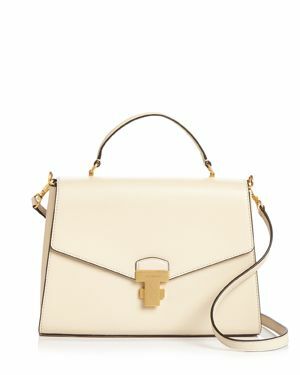 Calvin Klein - When your goal is poised and polished simply reach for the gorgeous Calvin Klein Delancy Signature Top Handle Satchel featuring an all-over logo print and gold-tone hardware. 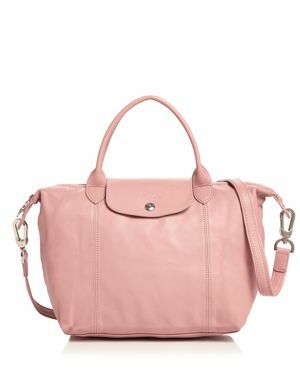 FOSSIL - Maya Leather Satchel Organized and on the go Fossil's Maya Medium Satchel is beautifully crafted in vintage-inspired leather and includes a webbing strap.
. - Liverpool Street Multiway Leather Satchel Soft and minimalistic in sweet pink: Radley London Liverpool Street Zip-top Multiway Medium Satchel handles the trend with style.
. - Beacon Domed Medium Smooth Leather Satchel Classic topstitching traces the tailored lines of a Dooney & Bourke domed satchel in sturdy leather with two ways to carry: in hand or on the shoulder.
. - Pretty florals in a classic color palette bring sleek sophisticated allure to the Patricia Nash Printed Chiara Satchel.
. - Leather Triad Large Satchel Made of top quality leather the large capacity of our Triad satchel will let you carry your laptop. Carry it by its comfortable flat smooth handles to commute. 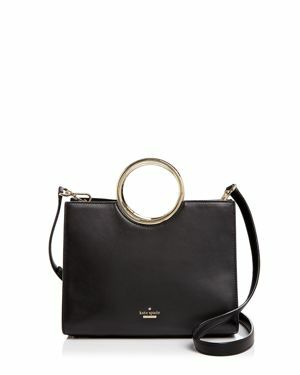 DKNY - Noho Large Satchel, Created for Macy's Stay organized without scarifying style with the Dkny Noho Large Triple Compt Satchel. FOSSIL - Ryder Leather Work Bag Satchel Old English brass-tone details bring vintage-inspired charm to a Fossil leather work bag organized for the style-forward professional.
. - Sydney Signature Satchel A classic shape in a versatile size the Dooney & Bourke Sydney Signature satchel features a monogram panel with luxe leather trim.
. - Crestview Mini Asher Embossed Leather Satchel s Mini Asher Satchel is a perfect daily bag for on the go - it's large enough to carry essentials and sleek enough to carry with ease.
. - 20th Anniversary Leather Satchel s leather satchel showcases an iconic Scottie dog celebrating a very special occasion in style with friends balloons and party hats. 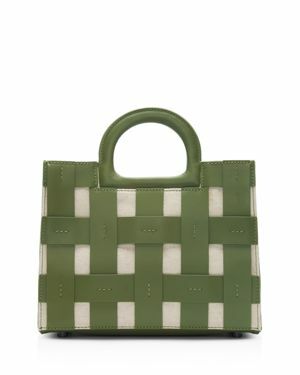 A spectacular treat for Radley London and dog lovers everywhere. Kate Spade - kate spade new york Sylvia Satchel Rolled handles and a slender strap increase the portability of a spacious kate spade new york coated leather satchel thoughtfully finished with a ladylike top edge.
. - Go for serious sophistication with the gorgeous Dooney & Bourke Saffino Willa Zip Satchel featuring a classic silhouette and subtle designer hardware.
. - Amelia Serendipity Leather Schulz Bucket Bag A stylish leather satchel from Brahmin boasting unique two-tone leather construction. The design comes complete with a roomy interior and footed bottom. 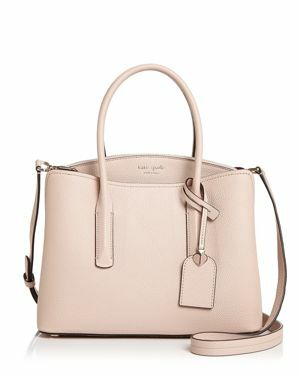 Kate Spade - kate spade new york Margaux Large Satchel From work to weekend the kate spade new york Marguax Large Satchel has you covered with a spacious interior easy open top and polished gold-tone hardware.
. - Melbourne Bristol Embossed Leather Satchel Satisfy a taste for the everyday exotic with the handsomely styled Bristol Satchel from Brahmin. 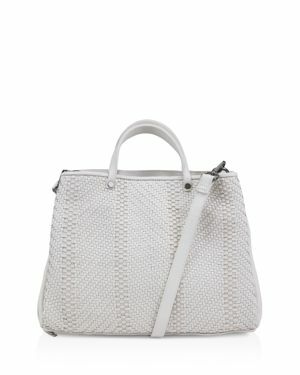 Embossed in a signature croc-print this take-anywhere accessory adds a luxe element to organization.
. - The Dooney & Bourke Suede Satchel features a slouchy casual-cool silhouette that'll be the perfect companion for all your work or weekend adventures.
. - Large Duxbury Ivory Copa Cabana Embossed Leather S A whimsically tropical print dresses up sleek leather on the can't-miss Brahmin Duxbury Embossed Leather Satchel.
. - Melbourne Harper Embossed Leather Satchel Add instant wow-factor with the Brahmin Melbourne Harper Satchel featuring all-over croc-embossed leather polished gold-tone hardware and a convenient optional crossbody strap.
. - Eartha Iconic Convertible Backpack s sophisticated take on the season's backpack can convert to a chic satchel with a simple switch of its straps.
. - Florentine Domed Buckle Leather Satchel A sophisticated silhouette and classic signature detail gives this gorgeous Dooney & Bourke bag the iconic style for which it's known. 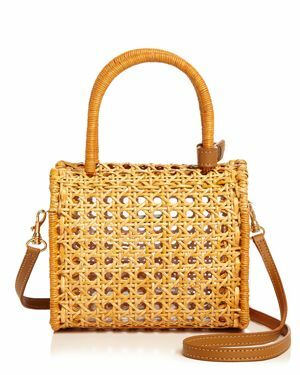 Gold-tone hardware and side tassels complete this timeless look.
. - Elisa Honeycomb Leroy Embossed Leather Satchel Designed with an expertly organized interior the Elisa Satchel from Brahmin is a luxe addition to any look. 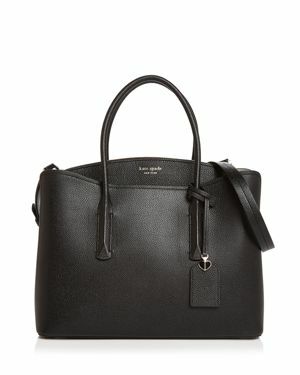 Longchamp - Le Pliage Small Leather Satchel s signature Le Pliage handbag gets a luxe update in supple leather. 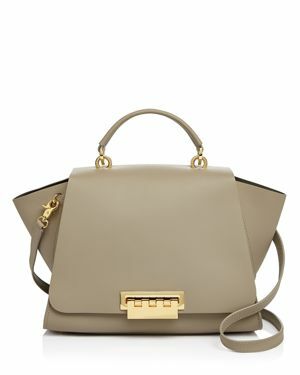 An optional crossbody strap makes this monochromatic style commuter-friendly and work-ready.
. - Eartha Iconic Soft Top Handle Satchel Crafted of sumptuous calf leather and signature hardware in an of-the-moment silhouette this convertible Zac Zac Posen satchel is defined by super-sophisticated details. 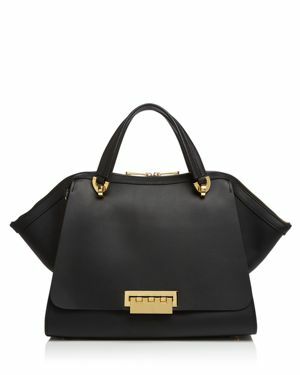 Longchamp - Le Pliage Medium Leather Satchel Iconically Longchamp form meets function in this luxe leather satchel sure to become a crucial carryall for your daily commute.
. - Eartha Iconic Jumbo Double Handle Satchel An outsized take on a sophisticated signature style this convertible Zac Zac Posen satchel is crafted of the most supple leather. 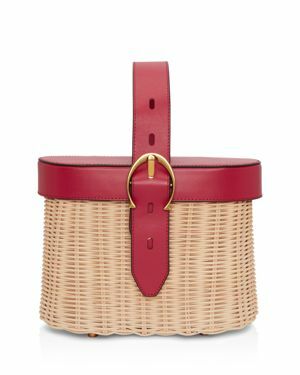 Longchamp - Le Pliage Large Leather Satchel updates its much-adored Le Pliage in luxurious leather while maintaining the effortless practicality that has made the brand's satchel a season-less essential you'll carry on commutes and holidays alike.